Look at that, just after I go out and purchase a Chromebook of my own, sales numbers for 2013 and first quarter 2014 are hitting the web. The results are straightforward, PC sales continue to decline and Chromebook sales are on track to possibly double over last year. Mixed into the numbers are some dramatic numbers out of the Microsoft camp, where the Surface division is reported to have accrued losses upwards of $2 billion in the last couple years. As for the Chromebooks, they clocked in for a little over 2 million unit sales last year, not bad, but they rang up over 1 million sales in the first quarter of this year alone, on track to 4 million then? There is no doubt that mobile and Chromebooks are taking over the majority of sales these days, these numbers only prove it. I put together a rather lengthy post on the topic over on Android Authority, in which I discuss the industry, parts providers, such as Intel processors and more. The funny thing here is that we keep saying 'mobile' is taking over, while Microsoft's Surface line of devices are themselves tablets. Rather nice 10-inch range tablets, if I do say so. I suppose they have two things going against them, first, they are pricey. Very pricey. Second, they run Windows. Now, while Windows is not entirely a turn off for many, this new Windows 8/8.1 deviates from the typical interface so much that I believe users are confused and don't want to bother. I can't say I've spent enough time with the Metro interface (yeah, I went there) to truly understand it, but I can say that it took me 15 minutes the other day to help a user open an email attachment. At that, I ended up renaming the file extension and opening the file as an XML doc in an HTML viewer. What?!? Proprietary email attachment files, thanks MS, my user doesn't want to purchase Office just for this once in a year need. Cool down there me. OK, back to the numbers. Microsoft Surface tablet is for some reason being considered a laptop, it's loosing money big time but still rolling and Chromebooks are doing very well for themselves. While I do not wish ill for any company, I have no love lost on the new Microsoft. I miss the days of Vista and Windows 7. Sure, they were boring, but they were predictable and stable, at least from a user perspective. 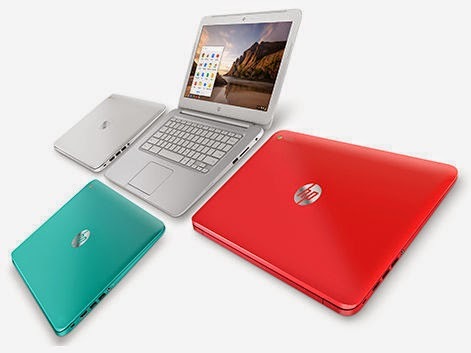 What do you think can a Chromebook satisfy your computing needs?